Few days ago, I ran into a problem trying to access and update some of the web files inside a WordPress site. The problem: I needed to access and update htaccess file but I only have /wp-admin/ account and there's no FTP or cPanel account given. Getting back to client and asking for FTP credential was not even an option, as he was already out during that time. Normally, managing and editing files on a web server requires an FTP or cPanel account. Without a valid FTP or cPanel account, file management is impossible. But with WordPress, that's not the case. In this post, I'm going to show you a simple workaround on how to get an FTP-level type of access to your WordPress files so you can quickly manage and edit web files from your root directory using only a WP administrator account. This is rather a “dirty” trick and I discourage everyone to do this unless you've got an FTP account in hand. As you might already know, the real gem of WordPress comes from the thousands of ready-made plugins freely available for everyone. And here we're going to explore yet another awesome plugin called WP-FileManager. WP-FileManager is a tiny WP plugin that gives you the ability to access and update files on your web server without an FTP account. Sounds like impossible but yes, you can use your wp-admin account to update and manage web files without FTP account. Once you've done this you can navigate back to FileManager and browse through files and folders. WP-FileManager works almost like cPanel's file management system; you can browse through folders and root directory files, create new file or directory and upload files. The only downside: it won't let you edit files on the fly — you've got to download the file first, edit it on your computer, then re-upload it back to the server. As a final note, you only need to install WP-FileManager if and only if that's the last resort and you absolutely need it. 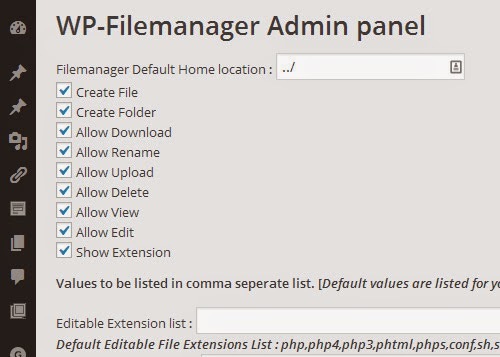 Having WP-FileManager installed on your WP site gives everyone with admin account a full access to your web files, including wp-config.php file and htaccess. Whether you are a seasoned coder or a newbie dabbler, you need a code snippets repository. A code snippets repository is a place where you can keep a file of your own most-used codes so you can check back and copy the needed lines of codes without having to rebuild them from scratch. Code snippets will basically save you time when developing or administering a website as you no longer have to rewrite the codes to achieve the desired results. While there are already long standing, well-reputed code snippets storage sites freely available out there, there's not such an abundance of apps that can beautifully store and organize your code snippets similar to how GistBox works. In this post, we're going to explore how GistBox can help you in becoming more productive and learn why you cannot stay away from it once you get your hands into it. GistBox is another code repository service designed to make code snippet management a little less boring. GistBox uses GitHub's backend but it comes with its own advanced label and search functionality — the features which are missing in GitHub's Gist. GistBox was designed to be a curated, personal snippet library – like long term memory for the practicing software engineer. I like Gist, but it's too limited; it lacks of important functionality like being able to organize your code snippets via tags or labels. So here allow me to point out the notable goodness of GistBox. Color-Coded Labels. 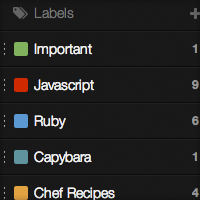 You can create labels as much as you want and assign a color for each label. GistBox Labels works like categories, so for every code snippet you add you can organize it by language, project or purpose. Advance Search. 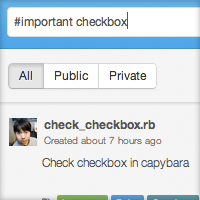 GistBox's search functionality is surprisingly amazing. If you like how Gmail's search works, then, you'll also love GistBox. With GistBox, you can search through the entire code snippet library or through specific labels. Collaborate with a group. Another cool feature of GistBox is it's ability for you to create groups and share useful snippets among co-workers — great if you're working with a team. GistBox is lightweight, free and usable. And it's a must-have to all devs! Still not convinced? Go, check out GistBox and see it for your self. Every front-end developer knows how downright disappointing it is to get asked to fix some design hiccups in which you cannot fix as you cannot replicate them on your end. And this is a very a common problem among web developers: your iPhone/iPad simulator says it's perfect but in real physical device, the overall look-and-feel of a website may be a bit awry, unacceptable. We don't want our clients to get back to us angry right? A web design company Flexify has this no less ordinary iPhone/iPad online simulator app that you will gladly welcome into your web dev toolbox: Responsimulator. This is not Screenfly or any other online simulators you may have used before. The level of accuracy renders by this web-based iPhone/iPad simulator is so impressive that you can quickly squash every single visual bug you encounter which may not normally appear in your usual emulators. And that's great especially if you constantly do web development or QA and you don't have real iPhone or iPad to perform visual checks on your end. 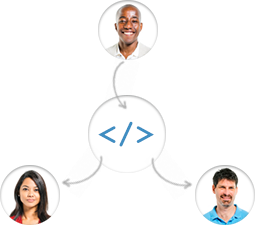 Simulators have always been the most indispensable tools among front-end web developers. These are everyone's go-to tools to ensure every single detail and element of a website is displayed well on any screens or platforms prior to site deployment. But you've got to be careful as not every simulator delivers results as promised, except of course for Responsimulator which seems to be the most web developer-friendly, accurate iPhone/iPad simulators available as yet. Do you know any other mobile and tablet simulators? Buzz off in the comments. To those looking for a FREE, decent file management web service with support for FTP to copy, backup web files from web server to cloud storage providers (e.g. DropBox, Google Drive, SkyDrive, etc), well, then, this post if for you! I am sometimes asked, as a web ninja, to create a full site backup of my client's sites and copy it to their cloud storage accounts. Such tasks can actually be a accomplished using the right (premium) tools or plugins. But sometimes, plugins just ain't enough! So you sit with a sheer frustration realizing that the only way out is to 'manually' grab those downloadables and upload them back to their online virtual drive. And yes, it's not an option; it's a waste of time! 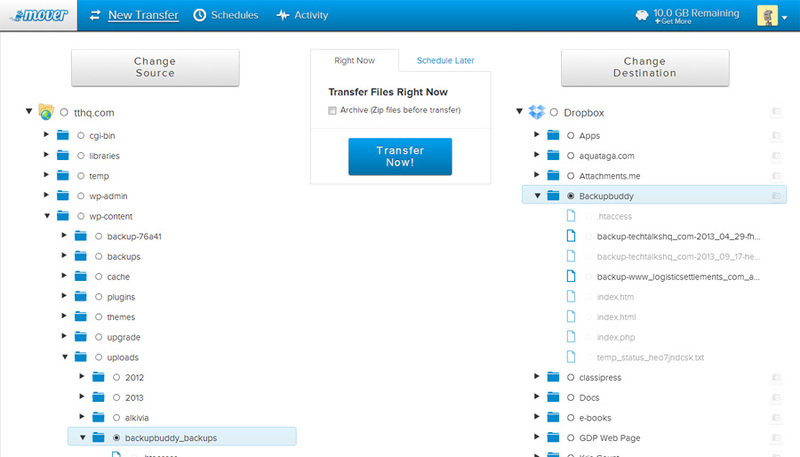 Meet Mover.io, yet another awesome web platform to move/transfer files from one cloud storage provider to another. Mover was created to streamline the process of transferring your data to the cloud. The service is sort of like that of Otixo, or the time-saving cloud storage managers we have previously mentioned here, which allows you to conveniently copy/move files between DropBox, Box, Google Drive, etc. What Mover sets apart from the rest is the intuitive support for FTP as your source or destination drive. And that's very useful feature among web guys who might need to backup their web files if BackupBuddy (or the equivalent add-on) is not an option. All it asks is the source & destination drives, and the authentication required for Mover to basically talk to DropBox, Google Drive, SkyDrive, or Box. If you are copying files between FTP server to DropBox (like my example below), you may need to ask for your FTP host, username & password, and you're good to go! In my example below, I was trying to backup all my web files under /backupbuddy_backups/ directory and copy it to my DropBox folder named /Backupbuddy/. In this case, FTP is the "source" and DropBox is the "destination". As soon as you hit that big “Transfer Now” button, your transfer is now being queued and Mover should redirect you to the Activity page detailing the progress of your transfer. When you own an active blog or website, you always love to read and reply to your reader’s comments. However, in the blogging world, comments left behind continue to be in text format and can be seemingly impersonal. Even email, website, or social media comments still feel impersonal using the usual text formats. Now, you can allow audio feedback with the new SpeakPipe. Hearing the actual voiced comments from someone adds a personal touch to comments for any blog or website. At present, anyone can leave voicemail podcasts attachments. However, telephone podcasting quality is very poor. Another method is to record audio attachments. This means, recording, saving, editing, encoding, attaching, and sending. Both of the above is not convenient for any user. 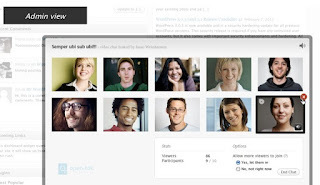 SpeakPipe is like your personal web voicemail directly accessible from your site. Your visitors can then leave high quality audio comments for you with just a few clicks. 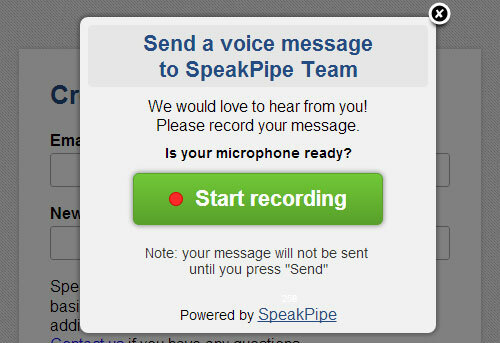 When you download and then install SpeakPipe’s box on your blog, your readers can now instantly send voice messages instead of the traditional plain text. In short, anyone with a microphone and a computer can leave any kind of audio feedback or message without much technical fuss and trouble. They can even listen to their recording, edit, or redo it before sending. When a message is sent, you then receive an email notice with an Mp3 download link. The sender has the option to leave a name and email address. This will show up on the SpeakPipe inbox. Its little drawback is that, while the initial download is free, it has a time limit, and that means you need to purchase the full version. However, you get a refund after using it for 120 days and not being satisfied with it. Other minor issues include email notifications do not include the name and email address of the messenger, only one inbox, and there are no sorting options like folders or labels. Create Contact Forms For WordPress, Blogger, Tumblr, etc. Overall, SpeakPipe is still good to use and worth the time to try out for testing on you website or blog. One of the most important things every blog owner should do is to perform a complete database backup on regular basis. Doing so does not only afford you the peace of mind but it also gives you the confidence that you can anytime restore your blog in the event of cyber attacks. Performing database backup is easy; it's just a matter of exporting all your data into a single SQL file. 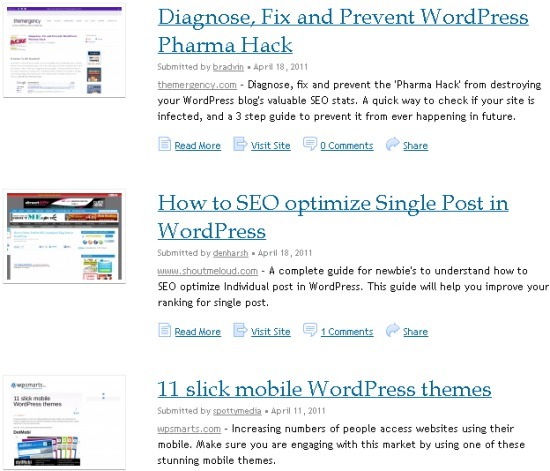 And if you're using WordPress, the task is even a lot easier. In this post I'm going to introduce you to another awesome WordPress database backup plugin. This time we're going to backup our WordPress database straight to DropBox. WordPress Backup to Dropbox (link) is a wonderful creation of Michael Dewildt that gives you the peace of mind you deserve. Just choose a day, time and how often you wish your backup to be performed and sit back and wait for your websites files and a SQL dump of its database to be dropped in your Dropbox! 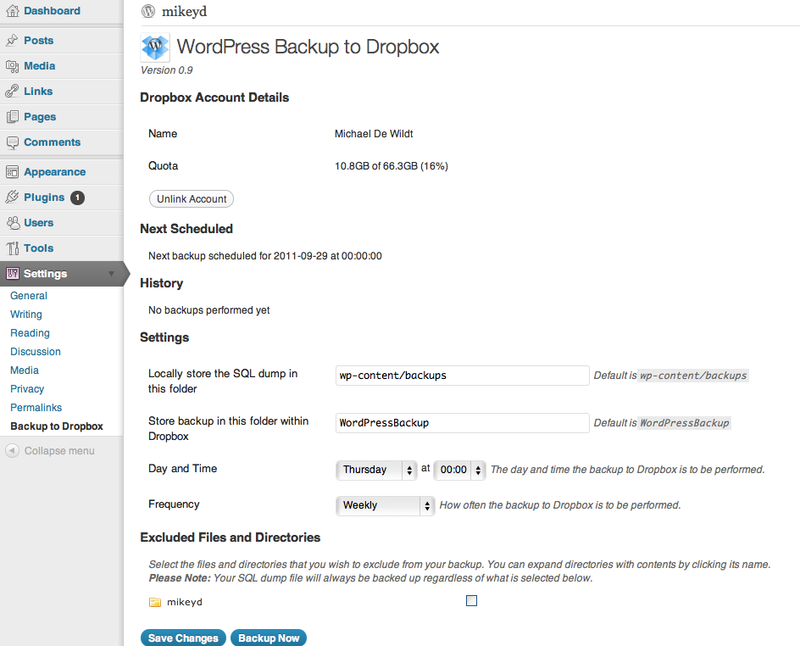 Follow this 4 easy steps on how to backup your WordPress blog to DropBox. Step 1 Download and install WordPress Backup to DropBox. Activate it. Step 2 Authorize the plugin to connect to your Dropbox account. Step 3 A new window should open where Dropbox will ask you to authenticate in order to allow the plugin access to your Dropbox. Step 4 Once you have granted access to the plugin click continue to setup your backup. I received a tutorial request from my reader that asked me how to paginate or split a very long blog post in WordPress, Blogger or Tumblr. So here I’m going to show you a simple workaround on how to split that long blog posts into multiple pages in your WordPress, Blogger or Tumblr blog. Step 1 Install and activate Splitter for WordPress here. 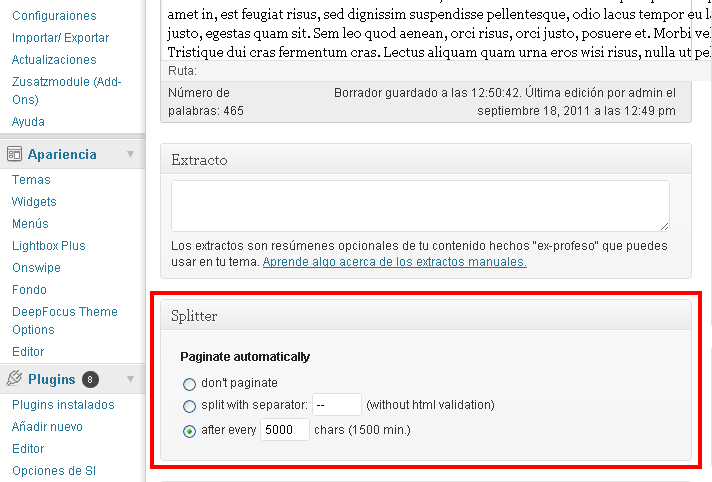 Or you can search for "Splitter" at WordPress plugin directory site. Step 2 Once installed, you should see Splitter below your WordPress text editor (see screenshot below). There you can specify a maximum number of characters per page. Note:The pagination and jQuery codes must be placed below your segmented <div> contents. Fading in and out the content with jQuery does the magic, and you can do it on your Tumblr or Typepad blog. If you need help on how to split or paginate a long blog post in Blogger, WordPress or Tumblr, just reply in this post and I'll try to make an effort to help you as fast as I could. Thanks for reading folks! More tutorials coming so bookmark us or you can receive updates through email -- just enter your email below! There might come a need when you want to dynamically generate screenshot of any existing website so here I’m bringing this another awesome WordPress Plugin that does exactly as what the title goes: auto generate thumbnails/screenshots of any existing website. This screen-grabbing tool for WordPress is especially useful when you want to display a preview of any given website by using only the URL. If you like how the Google Search Results Page works, sure you'll love this. This incredibly useful WP Plugin I’m talking about is called BM Shots, a very lightweight add-on for WordPress that automates the creation of thumbnails/screenshots of any existing website. By simply specifying the URL and width, BM Shots automatically generates screenshots or thumbnails of any given website. Step 1 Download BM Shots for WordPress here. Step 2 Install and activate the plugin. Just stick this in your post or page and the shortcode will automatically generate a thumbnail of the website you requested. If you are to display this in your custom page template, just call do_shortcode() function. This plugin was developed for use on WPVote.com, but thankfully they made it available for public for FREE. Enjoy! True to the words of many, the real power of WordPress comes from the thousands of plugins available for free and at a decent cost. Plugins are the real gem of WordPress; they simplify the creation of complex functionality to your WordPress site at no extra cost. And talking about plugins, our brilliant team of plugin makers have never forgotten to create a voice chat solution you can integrate in your website. Here I am going to share you another awesome VOIP solution for WordPress that works like Skype. This voice chat plugin for WordPress is free, requires no coding, and is ideally recommended for anyone who wants to talk or engage with their readers directly on a website. If you haven't heard about OpenTok yet, it is a video chat platform that enables site owners to host live, group video conversations, online conferences for free. It is a flagship product of TokBox that simplifies the creation of robust, and multi-way video chat application for free. Think of OpenTok as a web version of Skype, where you can invite your readers for a live discussion directly on your website. OpenTok for WordPress is compatible with WP 3.2.1. And should you experience problem during installation, the team of TokBox is quick at taking your queries, so don't hesitate to ask them questions. I like the simplicity of OpenTok, and if you're comfortable with web programming you can even get through the core and get a more customized web-based video chat app courtesy of OpenTok. Visit OpenTok for WordPress plugin page for more info. If you enjoy blogging as much as I do, you should have recognized the importance of subscription links in your website. Your visitor who finds your post useful is most likely to subscribe and spread the word by sharing it to their friends. RSS subscription button and social bookmarking links play a vital role in gaining more traffics. And if you want to expand your reach, you might want to try Google SMS Channels, a Beta service of Google which allows web visitors to instantly subscribe your blog via SMS. Your visitors will instantly get notified thru text message by the time you post a new content in your blog. NOTE: Google SMS Channels is currently available in India, which means only visitors from India can subscrible your blog via SMS and only bloggers based in India can avail the service. But don't worry because the guys behind Google promised to make this SMS subscription service available worldwide very soon. And just because you're outside India doesn't mean you can't let Indian visitors subscribe your blog via SMS. Here I will teach you also how to implement this cool SMS subscription service even if you're outside India. 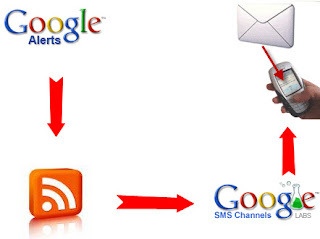 Step 1 : Go to Google SMS Channels website and login using your Google Account. Step 2: If you've successfully logged in, you should be taken to Google SMS Channel homepage where you can see a section 'Create your own channel' in the right sidebar. Now, click 'Try Now'. Step 3: Enter your Indian mobile number. You should receive an SMS from Google with verification code. Step 4: Enter the verification code and verify your mobile phone and click the 'Try Now ' link once again. Step 5: Now, specify the name of the channel (e.g. WebTips), description, category, and location. Step 6: Now provide your blog RSS/Atom or feed address. If you're using Blogger, you can choose to give your blogspot address. Step 7: Check the 'Title' and optionally the 'Body' boxes if you want to send both the blogpost title and post body. Step 8: Select 'Allow Publishing By ' as 'Only Me' and 'Who can subscribe' as 'Any User'. Step 9: And finally, hit 'Create Channel'. Your SMS Channel is now active and ready. Just append the generated link/script anywhere in your blog and your readers can now subscribe your blog via SMS. As promised, bloggers outside India can still implement this SMS subscription service. Try to connect to your Indian friends and ask them a little favor; ask their Indian mobile number, ask them to forwad back the verification code sent by Google, and proceed to Step 3. That's it. Currently I'm still waiting for my Indian friends in Facebook for their replies...hopefully they'll cooperate. And if you can't wait, you can get an instant virtual Indian phone number, but it comes at a price. SMS subscription service trully is a great addition to your blog. Loyal visitors can freely choose what type of notification they're most comfortable to deal with. Wait for my update for I'm going to show you how to come up with your own SMS subscription service for your blog using PHP and free SMS gateway available in your country. Subscribe via email below. A "contact us" form that allows users to drop instant messages is crucially important for a website. Your web visitors can surely save time when they want to communicate with you as they don't need to access their individual email account. Kontactr is an online one-click contact form service that allows webmasters, newbie bloggers to create instant contact form so that visitors can contact you anytime without exposing your email address. 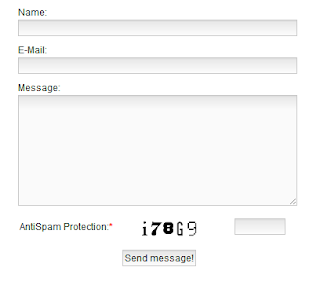 It comes with captcha to protect you from spammers and is customizable. Sign up for free Kontactr account here and build your awesome Contact Us form for your blog. 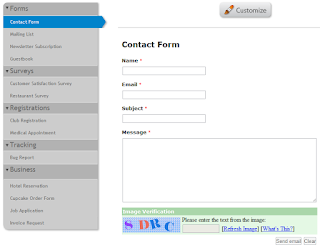 FoxyForm is another highly customizable, secure and free online contact form creator. Just choose HTML controls you wish to include (e.g. name, address, website, zip, etc) and specify email address where form data will be delivered. You can also specify which form fields must be filled. And best of all, you can fine-tune its appearance to best suit your needs. I love the simplicity of FoxyForm service and you should give a try. 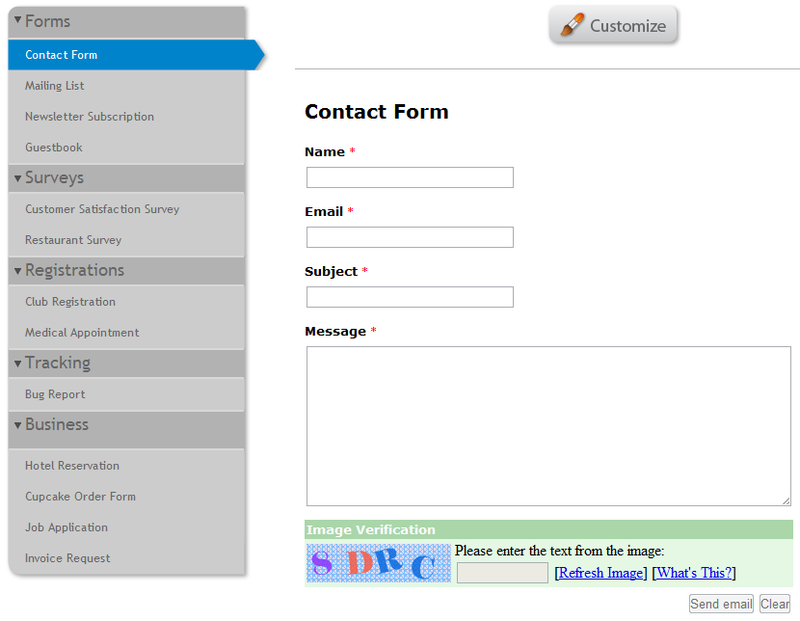 Start creating contact us form script here and embed it to your website. 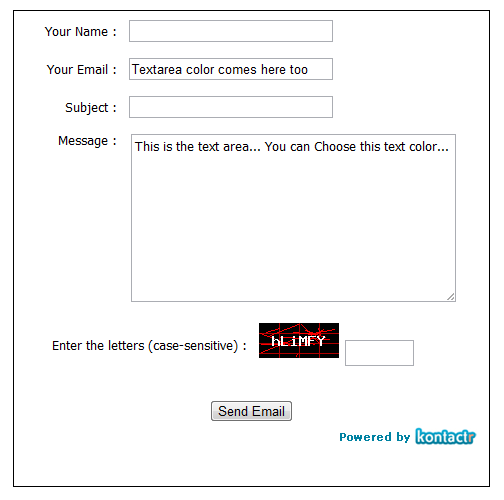 Email Me Form is another killer form builder especially designed for website owners and bloggers who hate codes. This online form creator lets you create awesome, jQuery-powered form in just a matter of seconds. The website comes with customizable form templates such as contact form, mailing list, newsletter subscription, guestbook, restaurant and customer satisfactory survey, registration forms, etc. And the best part about it is that it's free. Build your own contact form here. Move your blog to next level. Pick any of these FREE one-lick online contact form creator for your WordPress, Blogger, TypePad and virtually all types of blogs. How To: Create Contact Forms For WordPress, Blogger, Tumblr, etc.